It’s raining here, and I’m working blissfully on a super secret project. My kids are away for a few hours, and the coffee is warm. I am intrigued…"a super secret project!" Have an awesome day and enjoy those quite moments! I love that!!!! 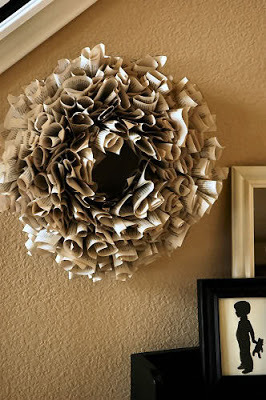 I've thought of doing something similar with old sheet music. the title of this post cracks me up. 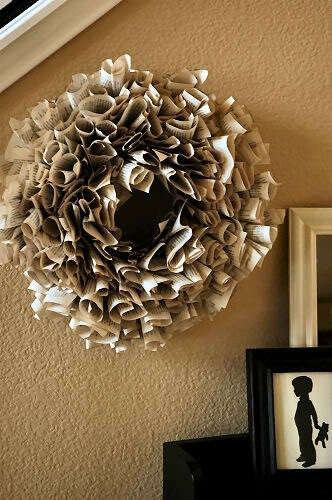 i'm not crafty but really wish i was. Andrea – Thanks! It was a great day for quiet. Kristin – Sheet music would be perfect! Tess – Some days I don't have the patience. Glue guns + I = not a good mix. 🙂 Although I hear there are cold glue guns now. Oh my gosh! I'm making this for ME!! !